Developed specifically with the sporting elite in mind, BEET IT SPORT Pro-Elite shot provides a natural boost to sporting performance in one quick hit. Enjoyed and revered by many leading international rugby and Premiership football teams, UK Olympic and Pro Tour cycling teams, the BEET IT SPORT Pro-Elite shot is made from 100% natural ingredients, consisting of concentrated beetroot juice (98%) cut with lemon juice (2%). BEET IT shots are at the centre of worldwide research in over 150 universities into the benefits of natural dietary nitrate supplementation. The research has identified that their naturally high dietary nitrate content (400mg per shot) interacts with enzymes in saliva to generate nitric oxide (NO) in the blood system. NO is a vasodilator that increases the flow of blood and oxygen to the muscles, thereby boosting strength and endurance – similar in impact (but legitimate) to blood doping! One 70ml BEET IT SPORT Pro-Elite shot delivers 400mg of natural dietary nitrate, the equivalent of 400ml beetroot juice. It provides the maximum intake of natural nitrate in the smallest volume of liquid for a quick and easy palatable hit. Only 70ml in size, the BEET IT shot is small enough to store in a gym bag or pocket – a key tool to help ‘beet’ a personal best. 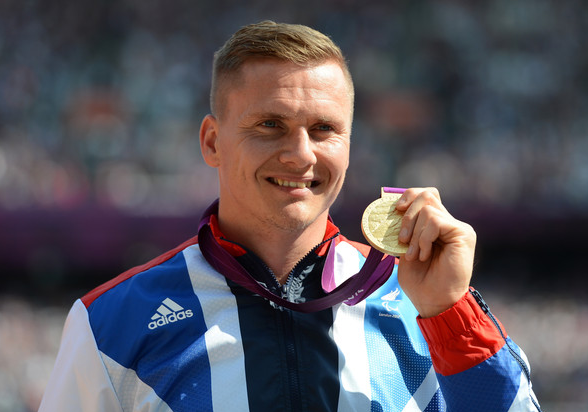 Ahead of competing in the London Marathon next weekend, six times Paralympic champion and Commonwealth Games’ gold medallist David Weir CBE has revealed the secret of his many successes – Beet It beet juice. Such is his strong belief in the nitrate power of the purple juice, he is now spreading the word to help others achieve their sporting goals. Since the 2012 Olympics, Beet It Sport concentrated beetroot juice shots and bars have been quickly adopted by many elite sports teams and professional sportsmen and women throughout the world. They are also used by more than 150 universities worldwide to research both the Medical and Sports Performance benefits of natural nitrate supplementation. BEET IT’s Sport Shots and Oatmeal Bars each contain 400mg of natural dietary nitrate, the optimum amount needed to deliver a worthwhile impact to performance. David’s extensive training and competition schedule for 2015 will see him travel across the world including both the London Marathon and New York Marathon – so lots of Beet It shots will be needed to keep him going. David’s big focus, after the World Championships in Doha, will then turn to the 2016 Rio Paralympic Games qualifiers. BEET IT SPORT Pro-Elite shot is available from Sainsbury’s, Holland & Barrett and Amazon, with an RRP of £1.49. BEET IT Organic variety (0.3g nitrate content) can be purchased from Waitrose, RRP £1.49.